The new branding for SPARC (School for the Performing Arts in the Richmond Community) has officially launched. Fable performed research, created brand strategy, and developed brand messaging. Fable also collaborated with Kate Carpenter Design to create a new, evolved logo and visual identity for the brand. “SPARC has always been all about the kids,” says David Neale, Founder & CEO of Fable. “As we developed the branding, we made sure to keep that message at the forefront.” Fueled by extensive qualitative and quantitative research, Fable crafted the brand architecture for SPARC, including Core Values, Key Messages, Positioning Statement, and Tagline. Kate Carpenter Design worked with Fable to evolve the previous logo in a way that would support and reinforce the newly developed brand architecture. 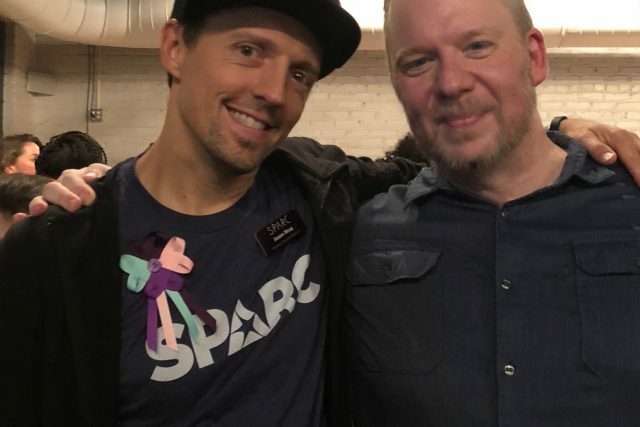 The brand language, tone, messaging, and logo were unveiled to an audience of thousands at SPARC’s Live Art: Love event on June 3 in a simple, short video that kicked off the event. SPARC is a performing arts school that is much more than a performing arts school. For more than 35 years, SPARC has been setting the stage for life, serving youth, schools, families and communities throughout Richmond and across Virginia. With professional teaching artists presenting a range of classes, workshops, camps, productions, and other programs, SPARC provides confidence, creativity, and character to generations of young people. The result is that young people go on to perform better, not just on stage, but in school, in their careers, and in life.